The online survey, unveiled April 9, is a continuation of the survey presented at the Mid-America Trucking Show, which was held in Louisville, Ky., on March 28-30. According to an ATRI press release, more than 300 drivers completed the survey at MATS. Developing standards for truck parking information systems based on driver preferences topped ATRI’s list of research priorities for 2019, which was released March 25. The group’s Research Advisory Committee developed its list of recommended research areas earlier in March, and ATRI’s board of directors subsequently evaluated and approved the list. Research Advisory Committee Chairman Karen Rasmussen explained that the two-pronged goal is to create a compendium of what truck parking information systems are available and, through driver input, form a recommendation on what the ideal model looks like. Lack of available truck parking ranked No. 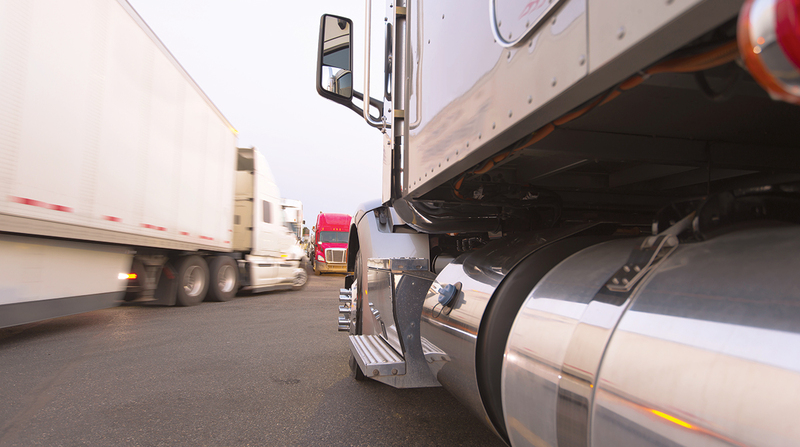 5 on ATRI’s most recent list of industry concerns, which was released Oct. 29. Drivers may respond to ATRI’s survey through the end of May. Their input will remain confidential. The survey results will inform ATRI’s findings, which the group will share with state agencies and private sector companies that provide truck parking information. Re-examining miles-based safety metrics is listed as ATRI’s No. 2 research priority. The group also pledges to analyze the safety of younger drivers who participate in intrastate driving. ATRI will quantify the safety performance of 18- to 20-year-old intrastate drivers and experienced interstate drivers. Current federal law prohibits truck drivers younger than 21 from driving Class 8 trucks over state lines. ATRI also plans to update its cost-benefit analyses on truck safety technologies and document the impact of “nuclear” verdicts on trucking. Nuclear verdicts are those in which juries award large sums, usually more than $10 million. The final priority is to update the group’s previous infrastructure analyses to focus on tolls. Specifically, ATRI will study where toll revenue is invested and the equity of tolling formulas for cars versus trucks.